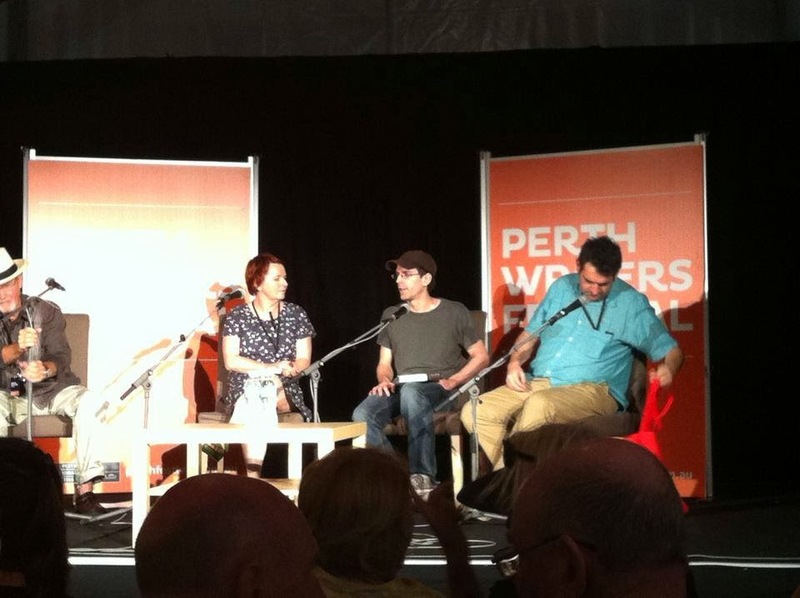 Sadly, today another Perth Writers Festival draws to a close. It has been an amazing weekend, full of wisdom, and marked most noticeably by discussions which have renewed a zest for reading and literary critique which I have not felt since my time at Murdoch Uni nearly two years ago now. To put this succinctly; this weekend, I felt smart again. I can now say with a degree of authority that how much you get out of these sorts of events is dependent on how much you put yourself into them. 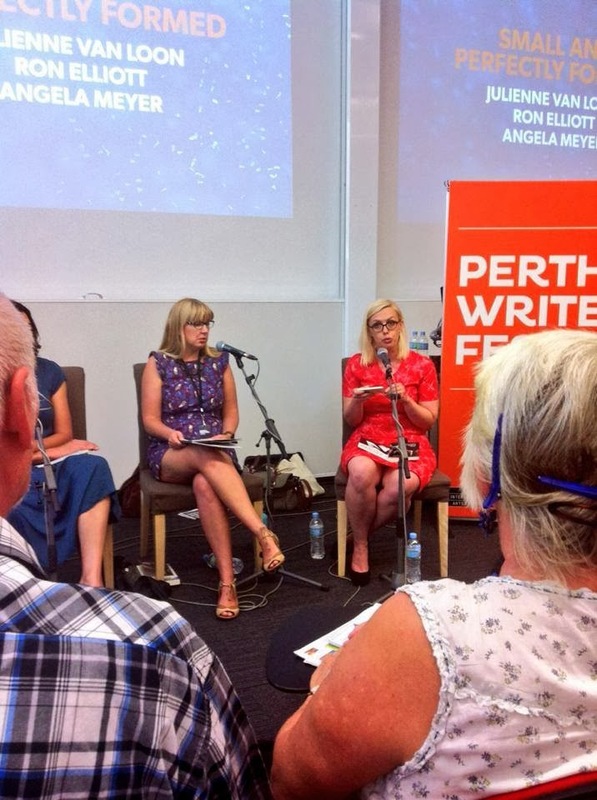 Being presented with an opportunity, as the people of Perth are at this time each year, to come along and talk to, and more importantly listen to, writers from local and international backgrounds, is an important cultural institution that I hope never goes away or is diminished in any way. In fact, I wish it were bigger. This year for the first time I actually purchased tickets to some of the bigger events. I was lucky enough to put myself in the same rooms as people I have admired, and people I have been inspired by; people like Hannah Kent and Eleanor Catton, and (a big one for me) Richard Flanagan, whose latest novel will surely win the 2014 Miles Franklin award. In past years, I've come home from events determined to write something. This year, I've come home determined to read. I've been writing so much lately as it is, I think. I've also come home with pages and pages in my latest notebook filled with scribbles of thoughts and quotes out of each of the sessions I attended. One of the best sessions that I went to was yesterday morning, entitled Love and War, which was Richard Flanagan talking to Tom Keneally about their latest novels, both of which deal with some aspect of the Australian/ Japanese relations during World War 2. It was one of the later tickets that I purchased, but shed the most light on my own work. 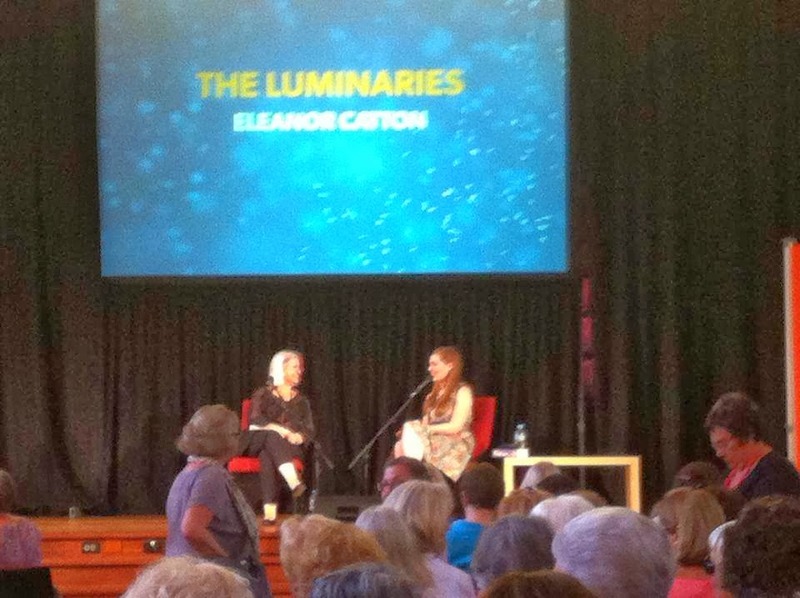 I also loved listening to Eleanor Catton speak- she is a wise and well-read woman indeed! I learned so much about how her wonderful novel came to be, and I was inspired to, at some point, take it up and read it again. Just this afternoon, I went to a session entitled Small and Perfectly Formed, all about the writing of shorter forms of fiction. If you've been reading this blog for a while you might know that short stories are the bane of my existence at the moment. I write them, but I can't get them polished enough to impress any editors or judges and it really concerns me that I might just be spending too much time gazing at my navel. As the presenters read from their own work, I was captivated by the tone of their pieces, each in turn, and I think I might not give up on short fiction just yet. That session was chaired by Annabel Smith, who did an absolutely amazing job as MC. Her questions were insightful and balanced, and steered the session along at a good pace and structure, leaving enough time for questions. I believe that it was during this session as well that the best questions were asked, so well done Annabel. At the beginning of her session, Annabel raised the issue of Live Tweeting. She said that she had been unfairly lambasted by another patron at the Martin Amis session on Saturday night for using her phone throughout the talk. In previous years, I know that Live Tweeting has actually been encouraged by the festival, and I recall that one year MOST of the sessions began this way, with an explanation of the accepted hashtags and twitter handles. I think the hashtag may even have been on the posters. Live tweeting at these sorts of events is a way of enhancing their cultural value, and keeping the discussion going. It gives you a means of connecting with other people in the room who might have a totally different perspective on what they have just seen. Constructive debate is alive and well, and it exists in the Twittersphere! If anyone was lucky enough to catch Annabel's tweets this weekend (and her handle is @AnnabelSmithAUS you will see that her information blasts were insightful and informed, and not at all a nuisance. I had a similar experience to Annabel's on the Friday night when I was tapped on the shoulder by the woman behind me and hissed at to put my phone away, a command which I was so mortified and miffed that I actually followed (once I had finished my tweet). I think what these two incidents signify is a real tension between different schools of thought on how festivals like this engage with the wider world. One the one hand, there is a traditional view of sit down, shut up, and be respectful to the presenter by watching passively and letting them speak. On the other is an emerging idea that the best way to pay respect to what you are listening to is to actively engage with it. I enjoy live tweeting, and I think it's a fairly polite way of doing this; more polite than say, hijacking question time with your own analysis of the novel or your tale of unpublished woe, and how the whole publishing industry is unfair to you. My response to this lady who tapped me on the shoulder, had she spoken to me about it again, would have been that (with due respect), unless my phone was in the way of her seeing the stage, or making some sort of noise, it was really none of her business what I did with it. I was not, like the women who sat in front of me at Cavalia, looking at photos of a baby in a santa suit- I was joining a discussion with countless others interested in the Festival in the same way I was. I would be interested to see someone from the Festival take the initiative to generate a more widespread understanding of social media practices like this within the events next year. A more positive note; it's not all over and the fat lady has not sung yet! I'll be back to the campus tonight to see three of my favourite literary ladies, Tracy Farr, Inga Simpson and Liz Byrski tonight, talking about "Til Death We Make Art." I am very much looking forward to this session indeed. Such an impressive line up Emily, I'm envious! What a great post, Emily. The festival really is an amazing opportunity, isn't it? I felt like I learned an enormous amount and had my mind stretched and bent in new directions this weekend. Thanks for your kind comments on my chairing, and also for taking up the issue of live-tweeting. 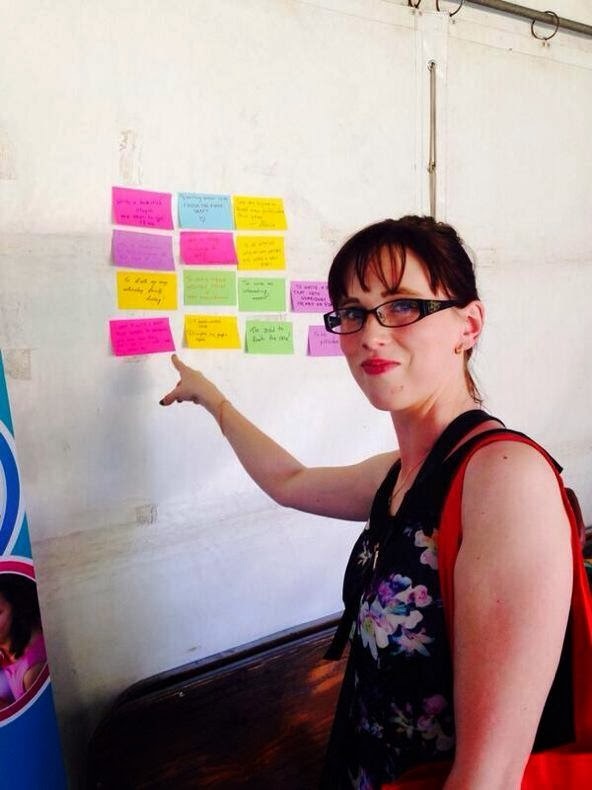 At Melbourne Writers Festival, tonnes of people were doing it and I think it really enlarged the conversation. I think those naysayers just need to move into the 21st century! It's interesting that both you and Annabel had that experience with live-tweeting. What a shame! I think some audience members don't grasp what you're doing (perhaps they think you're texting or something). It's true that in previous years we've been told as chairs to encourage live tweeting, but we weren't this year. And there were two hashtags going around, which I did bring up in the Green Room, but the festival didn't seem to think it was their responsibility to choose or announce which one they were going with. I like it when there's a definitive decision before an event, regarding a hashtag and the encouragement of extra conversation via social media. Oh well, maybe next year :) Nice to meet you after my session, too, Emily, and cheers again for your kind words.